The distinctive odor of cat urine isn't something you want to permeate your home, and one of the best ways to get rid of the offending odor is with cat urine removers. There are so many choices on the market that it can be hard to choose one that works the best for your needs. Learn more about some of the products available, as well as how cat urine removers work to rid your house of odors. These cleaners work by using bacteria and enzymes to remove the odor completely so that the cat will not smell the marked area and urinate there again. Before cleaning carpet, rugs or other surfaces with a regular cleaner or steam cleaner, the enzyme/bacteria cleaners should be used to neutralize the smell. Otherwise, the cleaning may mask the smell for a while, but it will eventually return. Here are a few cleaners that have become quite popular with pet owners. Urine-Off holds the claim of being the number one choice of veterinarians for odor and stain removal. The company claims that the product will even remove old, set in odors and stains and offers products specially formulated for either cats or dogs. The enzymes in the product are specifically designed to "eat the uric acid crystals". The product also contains a pheromone blocker to prevent the cat from returning to the area and marking again. You may also want to purchase a black light or a kit that comes with one to locate areas on the carpet that may have old stains. This product uses enzymes and beneficial bacteria to target the odors in your rugs and carpet, and MisterMax offers detailed instructions on the cleaning process. This formula will also kill the anaerobic bacteria growing in carpets. It's this type of bacteria that causes the urine odor to grow worse over time. The website lists dealers in your area.There are many other enzymatic cleaners available through your local pet supply store and online, although it may take time and perseverance to find the product that works best on your carpet and rugs. Although many people swear by the enzymatic cleaners listed above, there are a few who claim the scent still comes back at a later date. If you find that enzymatic cleaners are not doing the trick, or you want to try something without the enzymes, you may want to take a look at some of the new cleaners on the market that use varying chemical processes to rid your home of odors. Thornell offers many different odor removal products, including a line specifically for cats. The product is safe for carpets, walls, concrete upholstery and other "porous surfaces". One of the benefits of a non-enzymatic spray is that you can use it before cleaning carpets with carpet cleaner. Carpet cleaner can reduce the effectiveness of an enzymatic cleaner. Thornell also offers details on how to remove stains and odors whether they are new or old. This innovative product removes cat odor smells. It is even safe to use inside a litter box to help eliminate everyday odors. 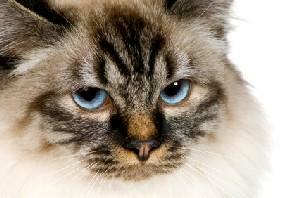 If applied directly to a spot a cat has urinated, it will start a chemical reaction that neutralizes the odor. OdorXit comes in several concentrations, from a concentrated form to a spray on version. It's safe to use on carpet, clothing, bedding, furniture, wood floor and dry wall. As always, test in an inconspicuous spot first to test for color fading. SeaYu has created a product that claims to eliminate odors in carpets by encapsulation. It's good for urine, feline spraying, feces and vomit. It Removes stains and odor using a unique technology that enhances the natural biodegrading process. This product does not contain artificial bacteria or polymers. If the cat urine removers listed above don't work for your needs or are too costly for your budget, there area a couple of other solutions you might want to try. You could create a homemade cleaner. First, absorb as much of the urine as possible with a towel by standing on it. Do not rub the towel as this will spread the urine. Just stand on it and let the towel absorb the wetness. If the spot is already dry, wet it down and then complete this process. Once you have absorbed as much moisture as you can, pour a mixture of 50 percent white vinegar and 50 percent water on the area. Vinegar is a natural odor neutralizer, and its own smell will dissipate as the area dries. If you have a steam cleaner or can rent or borrow one, you can also clean the area with hot water and a vinegar solution after it has dried. You may also want to follow up with a pheromone spray that will dissuade your cat from urinating in the area again. It can be understandably aggravating to have a cat that urinates outside the litter box. However, when it comes to litter training, patience and persistence usually win out in the end. In the meantime, the cat urine removers listed above will keep your house smelling as fresh as possible.